Sold to the current owner by us in 2014. Renovated by her current owner over 1.5 years with a long list of improvements. 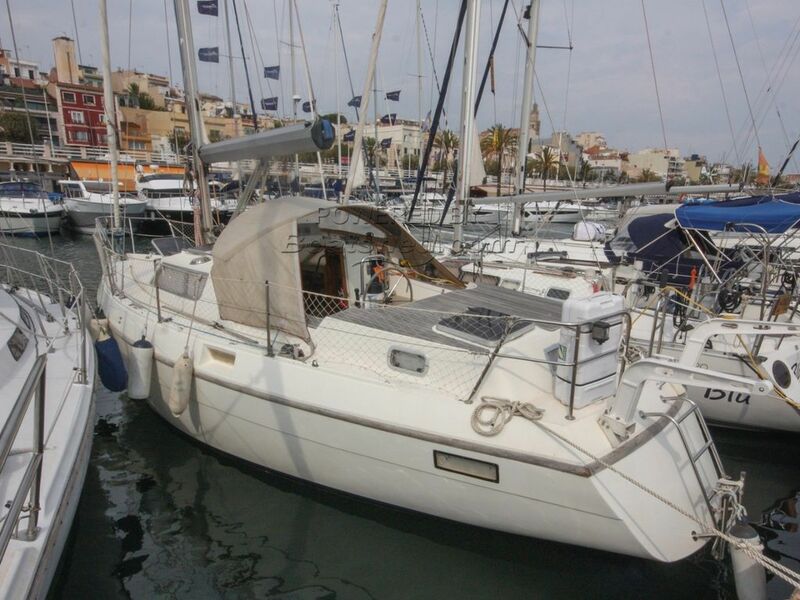 A comfortable centre cockpit cruiser with a very shallow draft with her drop-keel raised, making her ideal for canal and river cruising, single handed short sailing as well as being a very capable yacht for long distance cruising. There is a further helm below at the nav station. We have a detailed history of the boat and a comprehensive summary from the owner available on request to seriously interested potential purchasers. This Southerly 115 Mk1 - Swing Keel has been personally photographed and viewed by Paul Griffiths of Boatshed Barcelona. Click here for contact details. On the electrics, the pictures show a radar, but it is not mentioned in the equipment list, neither is GPS or Chart plotter. How about the life raft and has it got an erpirb? Are these included in the price? is the mooring available and if so what is the annual charge for it? regards edwin.